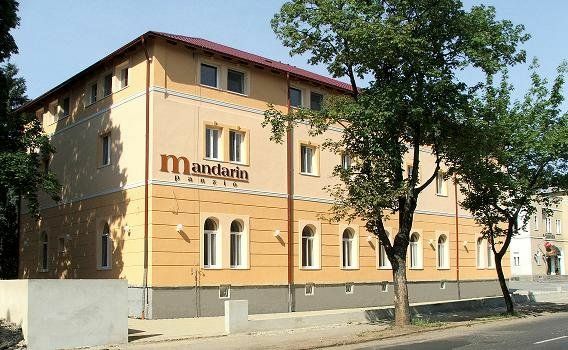 If you are on a business trip, attending a conference or simply wish to relax in the "city of loyalty", Sopron, our modern and comfortable Pension Mandarin is the ideal choice for you. 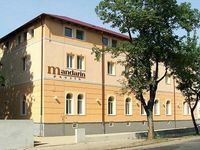 In the vicinity of "Lövérek" and the city center, right next to the Elisabeth garden, our 28-room cozy pension awaits its guests. Maximum capacity: 68 guests. There is an elevator in the building, so it is also suitable for older people. Our rooms are with shower, with telephone, TV, internet connectivity. Upon request, the dining area can be used for smaller meetings and conferences. New services: massage, rent a bike, rent a ski. The parking area of the pension is available for those arriving by car or for groups arriving by bus. • Full board is available at 5000 HUF per person. • Reservations can be cancelled free of charge until 12:00 on the day of arrival. • In case of late cancellation or no-show the hotel charges 75% of the booking value as penalty.